From the moment you report a crash, insurance providers are looking to restrict your recovery. Whether it’s your insurer attempting to terminate your medical benefits or the other motorist ’s insurer offering you less money than you need to fix your car or truck, Coleman & MacDonald Law Offices Lawyers knows the insurance providers’ tips. Massachusetts Bay Transportation Authority (MBTA) buses, trains, and subways, are all held to high safety standards as common carriers. If you’re injured due to unsafe conditions operation, or negligently maintained transit conditions, you’ve got valid legal rights. Each year, thousands of visitor’s accidents demand trucks and tractor trailers. When there are laws in place to keep our roads safe, accidents continue to occur, and harm victims are faced with enormous medical expenditures, lost wages, and no way to support their households. Coleman & MacDonald Law Offices is devoted to making the roads safe from negligent tractor trailer drivers. Whenever you serve your nation, you deserve pros advantages to further your education, shield your health, and look after your loved ones. We’re here to help appeal your claim when the VA has denied your benefits. By law, employees can’t sue their employers for on-the-job injuries. Workers’ compensation benefits were created that employees may have access to compensation for their medical expenses, permanent scarring, lost wages, and rehabilitation expenses when they could ’t work. Have you lately lost a cherished one in a wrongful death accident? Our wrongful death lawyers understand how devastating it may be to suddenly lose friend or a relative. Coleman & MacDonald Law Offices wants to help your loved ones in case your cherished one’s death might have been prevented or was due to someone. Whenever you’re injured in a motorcycle accident, you might face serious bodily injuries with developing medical expenses and lost wages, as well as combative insurance agencies. Nursing home and long-term maintenance facilities might not be the same as home, but they’re expected to provide residents with clean, safe, and dignified living conditions. If you think your cherished one is being abused or neglected, we’d love to help. Distracted driving is an epidemic. Often, pedestrians become the victims of driving accidents–even when the pedestrian is obeying traffic laws. Contact Coleman & MacDonald Law Offices in case you had been injured in a pedestrian accident. If you slide and fall as the consequence of a home owner’s neglect, you can have a legal right to compensation for your injuries. Coleman & MacDonald Law Offices’ Boston slip and fall lawyers may help you get the most amount of compensation for your compensation, such as wages, long recovery times, disruption to your daily activities, and expenses. In the event that you’ve been injured, suffered a debilitating accident, or developed a health condition that prevents you from working for one or more year, you might qualify for Social Security Disability (SSD) benefits. A traumatic brain injury (TBI) may affect your entire lifetime, from your capability to work and earn a living, to your capacity to live independently or speak. The effects of a TBI may be undetectable on the outside but are very real on the inside. Coleman & MacDonald Law Offices fights for compensation for TBI victims. Whenever yours on the job or have an accident at a construction site, Coleman & MacDonald Law Offices wants to help. Our Boston construction site accident lawyers don’t back down, and we’ll hold those accountable for your injuries. From auto parts to medical apparatus, in case you’re you’ve the legal right to compensation for your injuries. We know the law, and our Boston defective product lawyers will fight to get the money you’re owed. In the event that you’re one of the approximately 4.5 million Americans bitten by dogs every year, you already know the mental and physical strain it may cause you or your loved ones. Not only are dog bites painful and frightening, but they also may be life-threatening and have psychological implications. Doctors could make mistakes and prescribe drug dosages which are too high or too low, and drug manufacturers may produce batches of medication which are contaminated or harmful to your wellbeing. If you suffered a drug injury due to neglect, we may provide help. In the event that you or a one was notified your life insurance coverage costs or premiums are increasing dramatically, your insurance provider can be making you pay for its business mistakes. Our life insurance policy coverage fraud lawyers are ready to review your policy increase and help protect your legal rights. Medical malpractice claims arise when physicians, nurses, or other medical experts fail to meet a suitable standard of care and their patients suffer as a result. Victims’ compensation could be catastrophic–or deadly. We know you’re hurting after your accident. We know you’d rather go back in time and have the injury never happen. Since we cannot do that, our personal injury lawyers can only work to get you compensated for whatever you’re experiencing. We know just what it can take to ensure your injuries are properly documented and that there’s proof of what you’re going through. Whether we’re helping you organize healthcare, standing up to the insurance agencies, or taking your case to trial, then you can depend on us to enable you to concentrate on getting better, while we concentrate on getting you paid. To find out more about how we might have the ability to assist with your Personal Injury situation. Eight Things Insurance Companies Do That Should Scare You After your injury, you may receive a call from the insurance provider of the party accountable for the incident. The representative may seem favorable their company doesn’t have your best interests in mind and may try to take benefits your entitled to from you. Below are twelve ways insurance agencies may try to take benefits and legal advantage of you. Which implies that the insurance provider requires that a second doctor confirm that your injuries are as bad as you claim. In case your adjuster sets an IME for you, it’ll most likely be with a physician who works for the insurance provider. Which implies that it’s in this doctor’s interest to try to minimize your injuries and endanger your claim. There are ways to guard your rights through and after an IME. Never submit to one without speaking to a lawyer. During this procedure, you’ll be sworn under oath and the insurance provider’s attorney may ask you some question whatsoever of the they believe is related to the case. The purpose of these questions may not be clear to you, but they’re frequently designed to find holes in your claim. During an EUO, you may not plead the 5th, declining to respond, along with your very own attorney isn’t permitted to object to some one of the questions. If you’re asked by the insurance provider to participate in an EUO, then contact your lawyer. While insurance covers expenses, including prescription drugs, insurance providers are notorious for being stingy with regards to covering specialty drugs. If you’re prescribed a medication which has hit the market, an organic drug, or a drug which has no generic option, your insurance provider might refuse to offer coverage. The catch with most specialty prescription drugs is they’re prohibitively costly and these drugs can cost thousands of dollars every month. Because of the large cost, insurance agencies frequently attempt to restrict coverage to defend their bottom line from being eaten away by the expenses of those prescriptions. Due to this, it is important to factor the cost of those drugs in your settlement offer. PIP insurance is an obligatory form of insurance protection that normally comes into play when you’ve injured in a no-fault state. This coverage is supposed to cover medical expenses and lost income following your vehicle crash. In case your insurance carrier provides you with less than the full amount which you incurred in medical expenses and lost wages, do not sign anything before first talking to your attorney. After you register a settlement agreement with your insurance provider, there’s not any going back for more money to cover the difference. If your vehicle’s insurance contract covers lost salary, you’re entitled to compensation for the earnings out of time off work while you had been recovering from your injuries. Insurance agencies love to blame the victims who are not aware they’re eligible for these wages when extending a first settlement offer. Should you contribute substantially to your family income, or are the sole supplier for your family, being compensated for your time of work could be crucial to your wellbeing. Med Pay is an optional coverage that’s offered by car insurance companies and act to cover the medical costs that you and your passengers incurred after your crash. This kind of insurance does have a cap, which varies by insurance company. Often, people are not even aware they’ve Med Pay coverage in their car insurance plan, and insurance agencies seldom mention it to prevent having to cover for medical expenses. At the view of the insurance provider, the less they’ve to pay, the better the deal. Whether you’ve a personal injury claim, you may all, but guarantees that insurance carrier will call you only days or hours after the incident, offering to repay. Do not be fooled into believing that the insurance provider has your best interests in mind and wish to get. Part of the reason behind pressuring you to settle is to prevent you from having the time to realize the complete extent of your injuries. With regards to automobile crashes, a few of the most debilitating wounds could have a delayed onset. Should you strike your head through the collision, you might develop a headache that will not go away days or weeks following the crash. Chronic back pain, stiffness, and numbness can also be notorious for creeping up on you a fantastic amount of time after your crash. Whenever you sign an insurance contract with insurance provider, you do not only sign a one-page document and go on your own way. You’ll sign a mountain of paperwork with a boatload of print. Often, an individual sign these documents without reading cautiously into what the paperwork issues him to. You can guarantee that if an item appears in paperwork prepared by an insurance carrier, it isn’t in your favor. One such clause may even ask that you use the insurance company’s expert witness rather than your very own to demonstrate your injuries. Personal injury lawyers in 02451, Personal injury lawyers in 02452, Personal injury lawyers in 02453, Personal injury lawyers in 02454, Personal injury lawyers in 02455. Personal injury lawyers in 01850, Personal injury lawyers in 01851, Personal injury lawyers in 01852, Personal injury lawyers in 01853, Personal injury lawyers in 01854. Personal injury lawyers in 02121, Personal injury lawyers in 02122, Personal injury lawyers in 02124, and Personal injury lawyers in 02125. Personal injury lawyers in 02457, Personal injury lawyers in 02481, Personal injury lawyers in 02482. Personal injury lawyers in 02474, Personal injury lawyers in 02475, Personal injury lawyers in 02476, Personal injury lawyers in 02477, Personal injury lawyers in 02030, Personal injury lawyers in Dover. 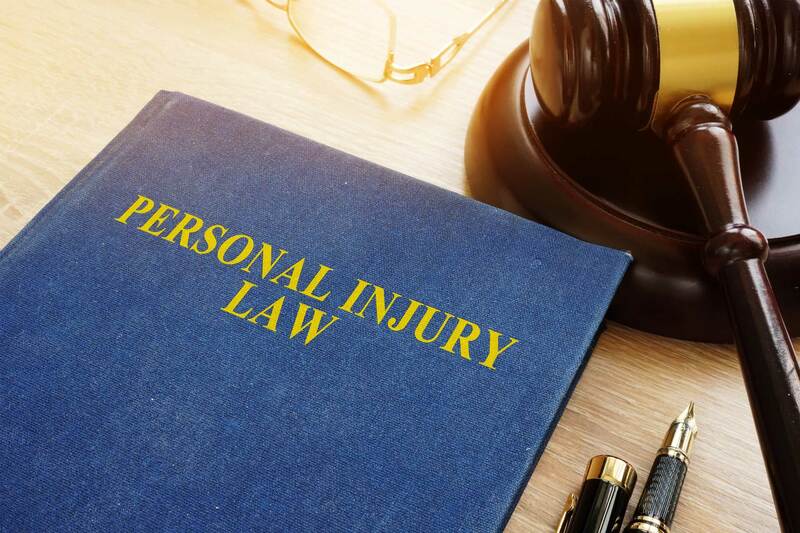 Personal injury lawyers in 01450, Personal injury lawyers in 01464, Personal injury lawyers in 01470, Personal injury lawyers in 01471, Personal injury lawyers in 01472. Personal injury lawyers in 02169, Personal injury lawyers in 02184, Personal injury lawyers in 02185. Personal injury lawyers in 01731, Personal injury lawyers in 01773, Personal injury lawyers in 02451, Personal injury lawyers in 01860, Personal injury lawyers in Merrimac, Personal injury lawyers in 01923, Personal injury lawyers in Hathorne, Personal injury lawyers in 02481, Personal injury lawyers in Wellesley Hills, Personal injury lawyers in 01850, Personal injury lawyers in Dracut, Personal injury lawyers in 02053, Personal injury lawyers in Medway, Personal injury lawyers in 02062, Personal injury lawyers in Norwood, Personal injury lawyers in 02134, Personal injury lawyers in Allston, Personal injury lawyers in 02322, Personal injury lawyers in Avon, Personal injury lawyers in 02459, Personal injury lawyers in Chestnut Hill, Personal injury lawyers in 02467. Personal injury lawyers in Boston, Personal injury lawyers in Newton, Personal injury lawyers in Cambridge, Personal injury lawyers in Lynn, Personal injury lawyers in Framingham, Personal injury lawyers in Waltham, Personal injury lawyers in Haverhill, Personal injury lawyers in Lowell, Personal injury lawyers in Quincy, Personal injury lawyers in Andover, Personal injury law ers in Dorchester, Personal injury lawyers in Woburn, Personal injury lawyers in Brookline, Personal injury lawyers in Lawrence, Personal injury lawyers in Watertown, Personal injury lawyers in Acton, Personal injury lawyers in Medford, Personal injury lawyers in Wellesley, Personal injury lawyers in Somerville, Personal injury lawyers in Arlington, Personal injury lawyers in Dover, Personal injury lawyers in Groton, Personal injury lawyers in Billerica, Personal injury lawyers in Braintr ee, Personal injury lawyersin Lexington, Personal injury lawyers in Bedford, Personal injury lawyers in Townsend, Personal injury lawyers in North Reading, Personal injury lawyers in Needham, Personal injury lawyers in Dedham, Personal injury lawyers in in West Medford, Personal injury lawyers in Gloucester, Personal injury lawyers in East Boston, Personal injury lawyers in Salem, Personal injury lawyers in Belmont, Personal injury lawyers in Peabody, Personal injury lawyers in Burlington, Personal injury lawyers in Hudson, Personal injury lawyers in Rockport, Personal injury lawyers in Wilmington, Personal injury lawyers in Lincoln, Personal injury lawyers in Merrimac, Personal injury lawyers in Hathorne, Personal injury lawyers in Wellesley Hills, Personal injury lawyers in Dracut, Personal injury lawyers in Medway, Personal injury lawyers in Norwood, Personal injury lawyers in Allston, Personal injury lawyers in Avon, Personal injury lawyers in Chestnut Hill, Personal injury lawyers in North Chelmsford, Personal injury lawyers in South Hamilton, Personal injury lawyers in Winthrop, Personal injury lawyers in Woodville, Personal injury lawyers in Carlisle, Personal injury lawyers in Natick, Personal injury lawyers in North Weymouth, Personal injury lawyers in West Groton, Personal injury lawyers in Nutting Lake, Personal injury lawyers in Stow, Personal injury lawyers in Melrose, Personal injury lawyers in Tewksbury, Personal injury lawyers in Foxboro, Personal injury lawyers in Milton, Personal injury lawyers in Upper Falls, Personal injury lawyers in Wenham, Personal injury lawyers in Roslindale, Personal injury lawyers in Middleton, Personal injury lawyers in Ashland, Personal injury lawyers in Hopkinton, Personal injury lawyers in Topsfield, Personal injury lawyers in Rowley, Personal injury lawyers in Sudbury, Personal injury lawyers in Medfield, Personal injury lawyers in Reading, Personal injury lawyers in Danvers, Personal injury lawyers in Salisbury, Personal injury lawyers in Maynard, Personal injury lawyers in Sherborn, Personal injury lawyers in West Roxbury, Personal injury lawyers in Boxborough, Personal injury lawyers in Nahant, Personal injury lawyers in Hanscom AFB, Personal injury lawyers in Canton, Personal injury lawyers in North Attleboro, Personal injury lawyers in West Boxford, Personal injury lawyers in Lynnfield, Personal injury lawyers in South Walpole, Personal injury lawyers in East Weymouth, Personal injury lawyers in Babson Park, Personal injury lawyers in Milton Village, Personal injury lawyers in West Townsend, Personal injury lawyers in attorney in Pinehurst, Personal injury lawyers in Stoughton, Personal injury lawyers in Waverley, Personal injury lawyers in, Personal injury lawyers in Georgetown, Personal injury lawyers in Mattapan, Personal injury lawyers in Holliston, Personal injury lawyers in Amesbury.